Caucus (noun) – A local meeting of people from one political party to select delegates or candidates. Sounds so simple, doesn’t it? Then why do so many people avoid participating in such an important process? Truthfully, it’s because most people don’t really understand what it is or how it’s done. Well, we have a fix for that! We have a way to make caucus training as fun and easy as pie – pizza pie, that is! Intrigued? Come and see what we mean – you won’t be disappointed. Mark your calendar and join us Wednesday, February 3rd at the Club at Arrowcreek. Social time begins at 5:30 p.m. with light appetizers and no-host bar, followed by a brief business meeting at 6 p.m. At 6:30, in lieu of our usual speaker, we will be holding a Mock Caucus to get you in-the-know and in-the-mood for the real thing. Come prepared to choose your winning pizza flavor and see if it will be viable. Will the pepperoni pizza lovers win the most delegates or will it be the sausages and olive pizza lovers? The only sure way to help your favorite pizza topping win is to show up on February 3rd and caucus for your choice. Even if you’ve attended one of our neighborhood gatherings or a training at Democratic Headquarters, this meeting is for you. Who else does this with all the fun, friends, food, and wine? So join us and be sure to invite your friends, neighbors, awww… heck, even your relatives to come along. The more the merrier! 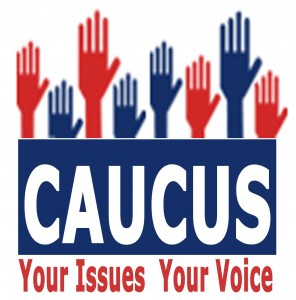 Remember, the State Democratic Caucus 2016 is on Saturday, February 20th. We’re the third in the nation – our results can really influence the outcome of this election! It’s important to get as many Democrats as we can to participate in this. This entry was posted in ArrowCreek 411, ArrowCreek411, Nevada Caucus, South Washoe DEMS and tagged ArrowCreek 411, ArrowCreek411, Caucus, Nevada Caucus, South Washoe DEMS. Bookmark the permalink.